Taipei, May 14 (CNA) The Taiwan Excellence Happy Run, a charity event that also features food and beverages, games and performances, was held on Sunday in Jakarta for the fourth straight year. The annual run, which began in 2014, attracted nearly 3,500 runners to five-kilometer and 10-km events that began in the city's GBK (Gelora Bung Karno) Stadium. Participants were also encouraged to donate books to charity. The books collected will later be donated to a local charity group, the Obor Berkat Indonesi, to be distributed to children from underprivileged backgrounds. According to the Taiwan External Trade Development Council (TAITRA), which organized the Happy Run event, those who donated books also got a chance to win a SYM motorcycle. The charity event collect 2,325 books from participants. TAITRA Chairman James Huang (黃志芳), who presided over the opening run, was quoted by news reports on Sunday as saying that the charity event was a good way to spread positive energy throughout Indonesian society. 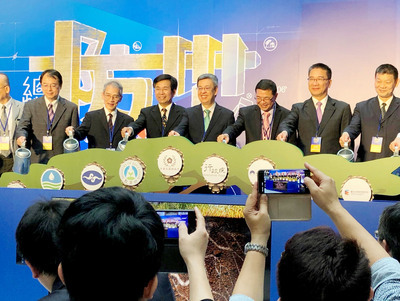 The event also coincided with the Taiwan Expo 2017, an exhibition also held in Jakarta that featured nearly 3,500 Taiwanese products, such as food, machinery, consumer electronics, leisure/sports products, cosmetics and green energy products.